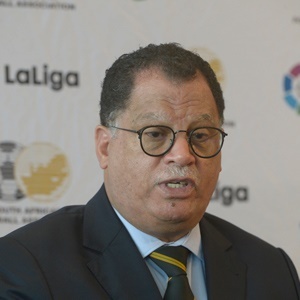 Cape Town - The South African Football Association (SAFA) president Danny Jordaan expects Bafana Bafana to show the spirit of the 1996 Africa Cup of Nations (AFCON) winning side in the upcoming tournament in Egypt. Bafana Bafana are set to take part in the 32nd edition (June 21 - July 20) after finishing second in Group E behind leaders Nigeria. There has been much speculation about the mandate facing coach Stuart Baxter's side at AFCON, though Jordaan has revealed that putting up a fight and being competitive is important. "If you saw the reception the squad received after that win, you can see what we need as a country," Jordaan said as quoted by KickOff website. "Going to AFCON we want to see a team that not only wins but has the fighting spirit that we saw in 1996 when we won the Nations Cup. "Sometimes it's not about the win, it's about how you fight. The determination and fighting spirit that we saw against Libya, if we can keep that then the country will be happy. "It's now up to Stuart Baxter to work on a strong squad that can deliver at AFCON." The tournament draw takes place on Friday, April 12 in Cairo.